date! This will be the last business workshop for 2014, but fear not there will be more dates in 2015 including some other exciting news! TO BOOK: Click here to go to Hello Pretty booking site or email me if you prefer. 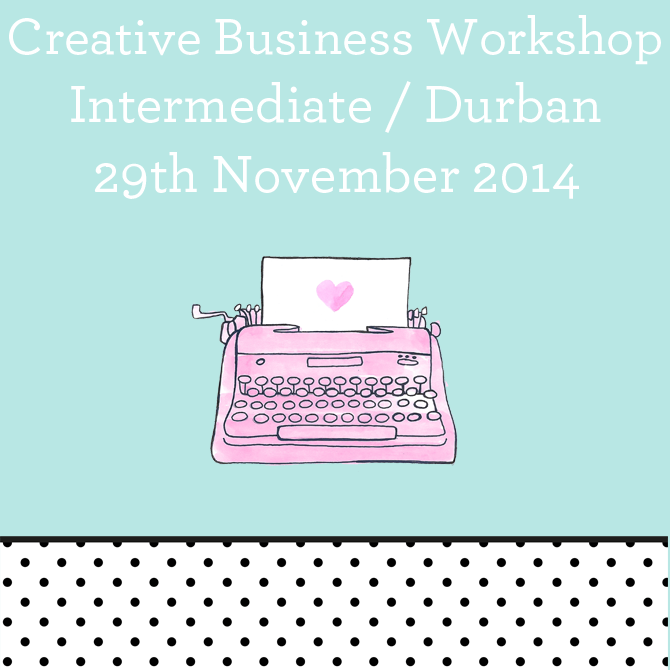 VENUE: Open Plan Studio - 39 Station Drive, Durban. Space is very limited so don't delay. 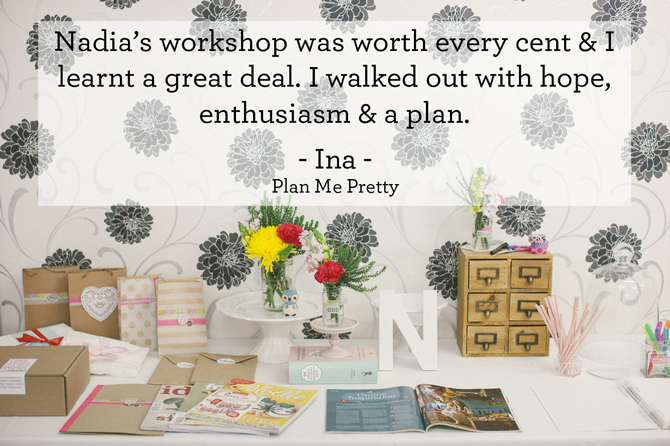 I have worked with Hello Pretty to set-up an online shop through which you can buy your ticket for the workshop. When booking via the site - ensure you double check the date and details. The aim is to make the process easy and simple for you. I can highly recommend the site and the process (payment is safe), but if you prefer you can email me to book. The workshops are aimed at creative business owners in a variety of fields from photography and design to crafters or even bloggers. 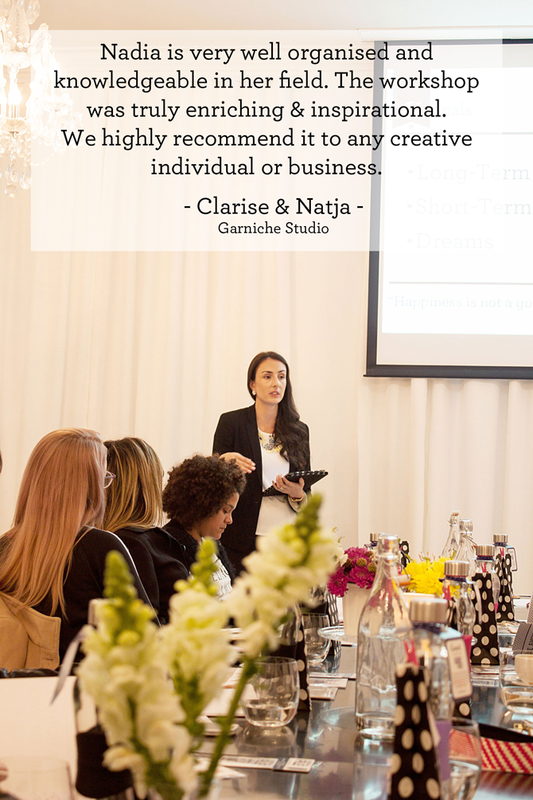 If you have your own business (or want to start your own) and want to learn and prosper, then the workshops are ideal for you. The topics range from social media to creative marketing ideas and there are two types of workshops – one for beginners and one for intermediates. 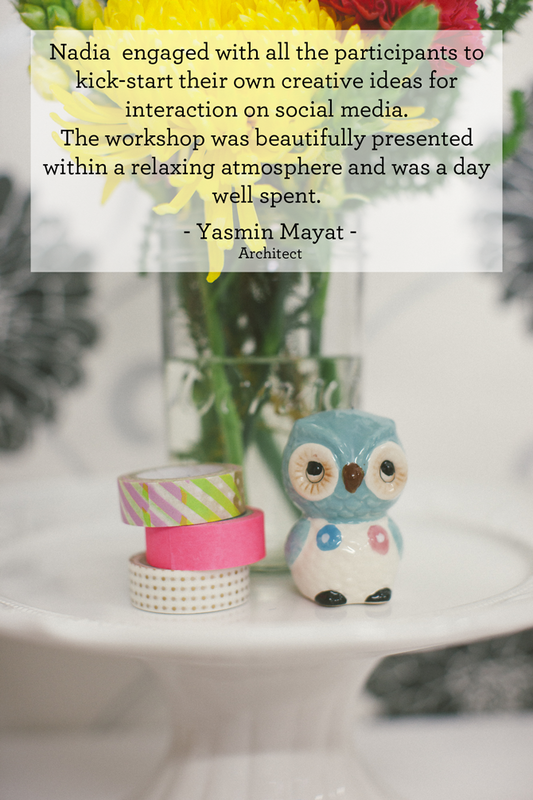 The Beginner Workshops is ideal for business owners who would like to learn the basics. The Intermediate Workshops are for those who are in the industry and on the right track, but would perhaps like step it up a notch. The workshops started in Durban with sold out dates and an amazing array of creatives joining in and last year I added Joburg into the mix as well as Cape Town in 2014. All the past attendees have given wonderful reviews. Creatives who attend can look forward to a day of learning with practical examples and case studies of successful businesses. The day is the ideal platform for networking within a creative environment. All the courses include a delicious lunch, snacks, a really lovely goodie bag and a host of giveaways from wonderful brands. How do I know I'm intermediate? What does your hard earned money get you? Creative Goal Setting: How to breakdown and achieve your personal and business goals. Creative Branding: Tying your brand and business together as one. We cover the essentials of what creates a good brand. Blogging Tips: Planning, scheduling and basic creative tips for putting posts together. Social Media Tips: We will focus on Twitter, Facebook, Pinterest, Instagram and how these can work towards generating blog readers and in turn more sales and opportunities. Creative Marketing Ideas: Fun, cost effective ways to generate interest in your business or blog. How to Approach the Press: Want to have your products or blog featured in magazines? I will give you the tips you need, from what to say to how you to say it. Question and Answer Session: A time for you to chat to me about your problems, new ideas or even plans for your business. Book your ticket via my Hello Pretty shop. Email me (hello@nadiavdmescht.co.za) or call me (072 093 7730) with your full name, contact number and request to book your spot. I will send you an invoice and all the relevant booking details - payment is due once invoice is received.